The Story Museum celebrates stories in all forms and explores their enduring power to teach and delight. Founded in 2003, The Story Museum began by taking stories and storytellers into schools and communities. It has gradually been transforming a large, dilapidated building in the centre of Oxford into a most unusual museum, with the help of authors, artists, teachers and other cultural organisations and volunteers of all ages. Since opening its part-made museum in April 2014 over 110,000 people - mostly families, children and young people - have enjoyed the Museum and helped create and share stories of their own. Find out more here. The Red Alachigh was created in 2012 as a space for sacred sanctuary, ceremony, celebration, myth, music, crafts, arts and the exploration of women’s mysteries. The inspiration for the tent came from a storytelling at the Wood Sisters Mystery School based on Anita Diamant’s novel “The Red Tent”. The alachigh is a northern Iranian nomadic tent and this one was built by about 50 women with support from all quarters to raise the money for the canvas and other materials. The tent has toured to many festivals offering meditation, quiet space, storytelling, crafts, music, dance, poetry and more. It is held by a council of women who are delighted to bring it to the first Oxford Storytelling Festival. The Oxford Storytelling festival has joined up with Wyld Experiences to offer luxury accommodation packages for those who really want to relax and enjoy the weekend. Located in the ancient orchard, let someone else set up your tent and arrive into a beautiful private space with access to compost toilets and hot 'sky showers'. There are only a few of these bespoke tents available, so book early as when they are gone they're gone. Use code FESTIVAL5 when booking to get an extra 5% off, 3 night minimum booking. Come stay in the Wyld and let nature nurture you. Silent Space is a not for profit project bringing us the opportunity to be silent in some of our favourite green places. 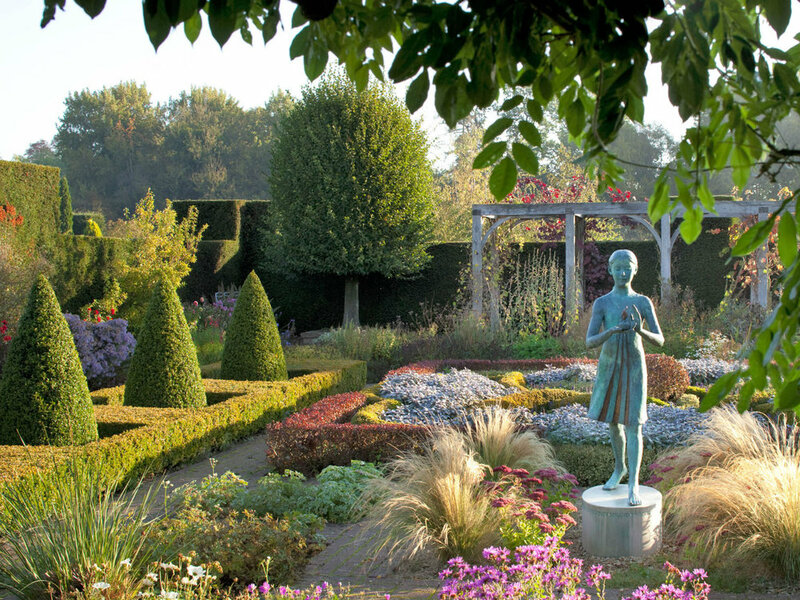 Waterperry Gardens joined the project during its pilot in 2016. Its beautiful Formal Garden has continued to be a Silent Space ever since. The Formal Garden was created by Bernard Saunders and Mary Spiller. This peaceful garden is the perfect place in which to enjoy some silent reflection.